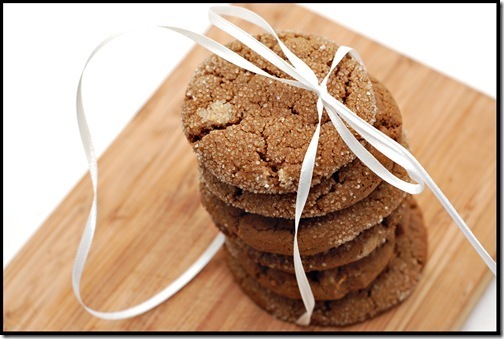 Orange Date Cookies + GIVEAWAY!!! I’ve been hiding a deep, dark secret. 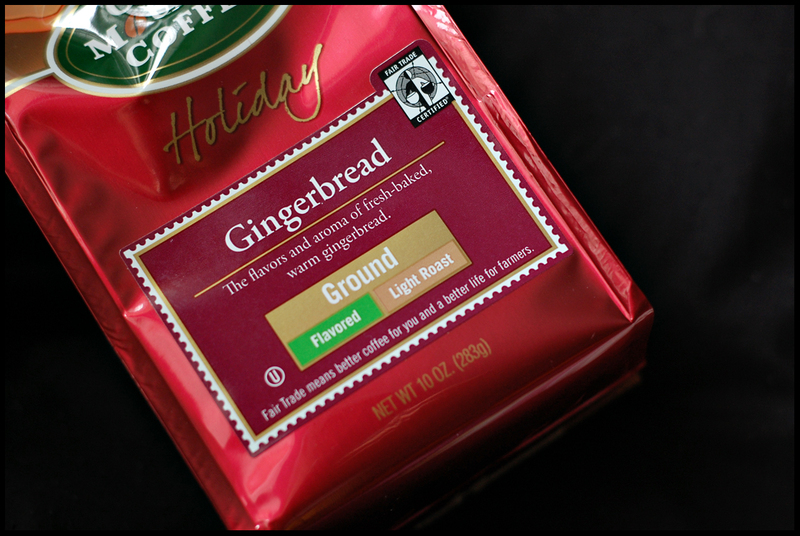 That deep, dark secret is also ooey, gooey and deliciously sweet. 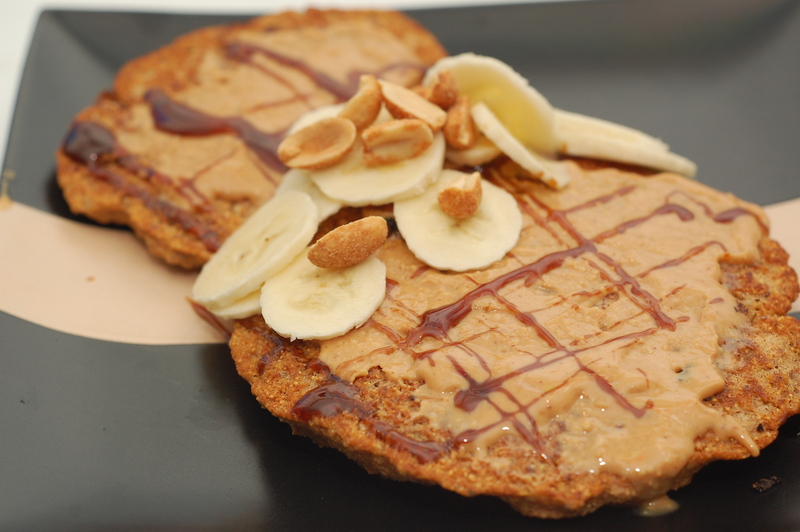 I’ve briefly mentioned my adoration for date syrup – but this type of relationship doesn’t deserve a brief mention. It deserves an award and a plaque. I don’t love just anything, you know – and for something to compete with maple syrup, you know you’ve got a serious situation on your hands. When Colleen at Organics are for Everyone contacted me to see if I was interested in trying their date syrup – my first response was the same as it would be had someone asked me a relatively inappropriate question pertaining to what kind of business a bear does in the woods. 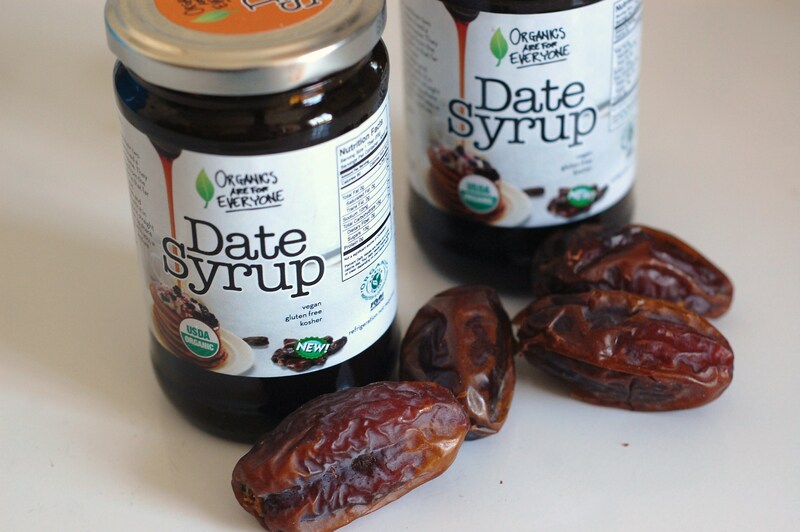 The possibilities with date syrup are endless. I liken it to maple syrup because it is a natural sweetener – but the taste is not alike at all, as I’m sure you can imagine. It is far less sweet, being derived wholly from the amazing date. And that makes it wonderful to drizzle on pancakes! Back when civilization began, there was date syrup. Stone tablets containing the earliest documented recipes in existence portray this flowing fruit of the date palm as an essential sweetener in the ancient world. It was, and still is, a delectable, complex fruit syrup with a variety of uses and nutritional benefits. Its uses are many. 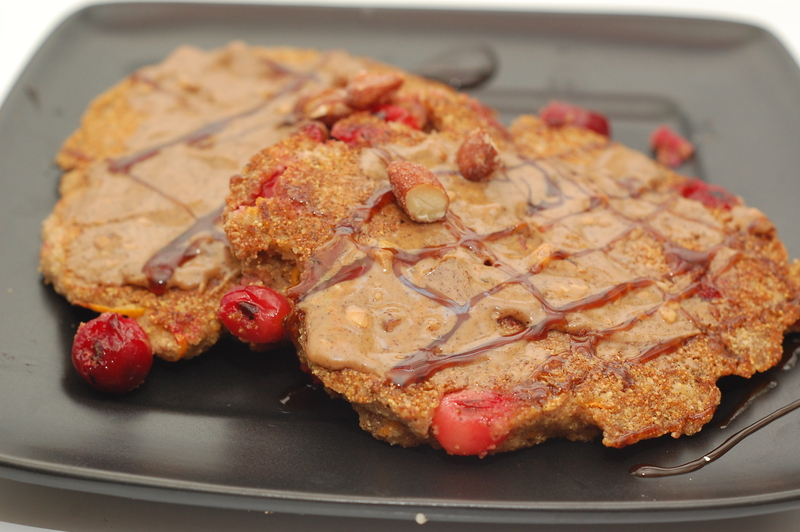 The syrup’s rich flavor makes for an ideal substitution to processed sugar in your favorite baking and cooking recipes. 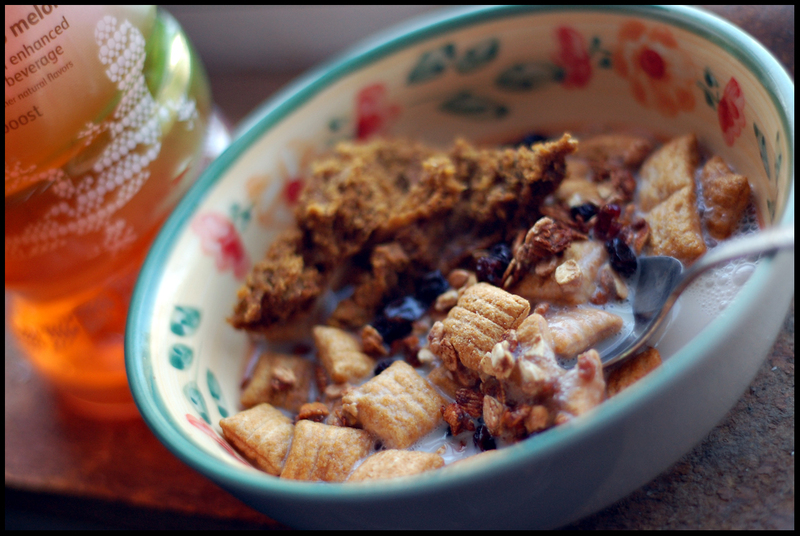 Use it also as a topping with anything that would normally go with honey or syrup. The benefits are also numerous. A mineral content including potassium, magnesium and iron, make this a great alternative to sweeten up recipes without adding sugar. Did you know dates have more potassium ounce for ounce then a banana? 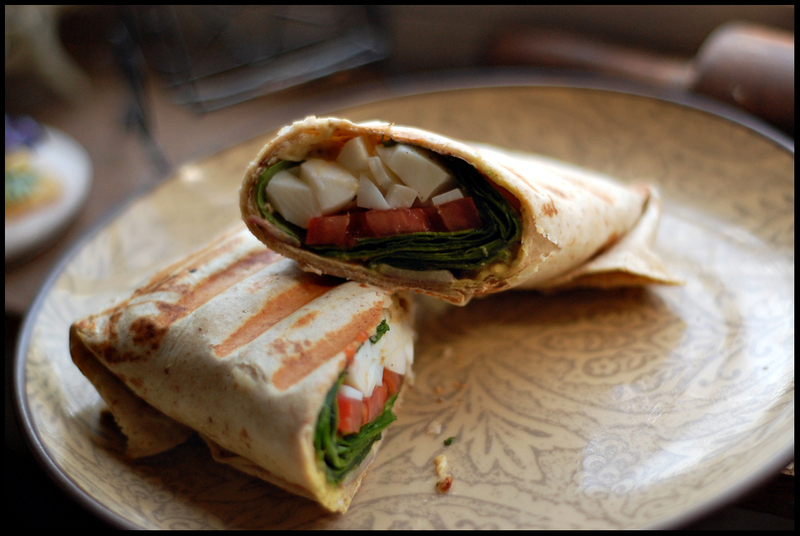 Forget about stuffing your cheeks like a monkey to get rid of those post-workout cramps! 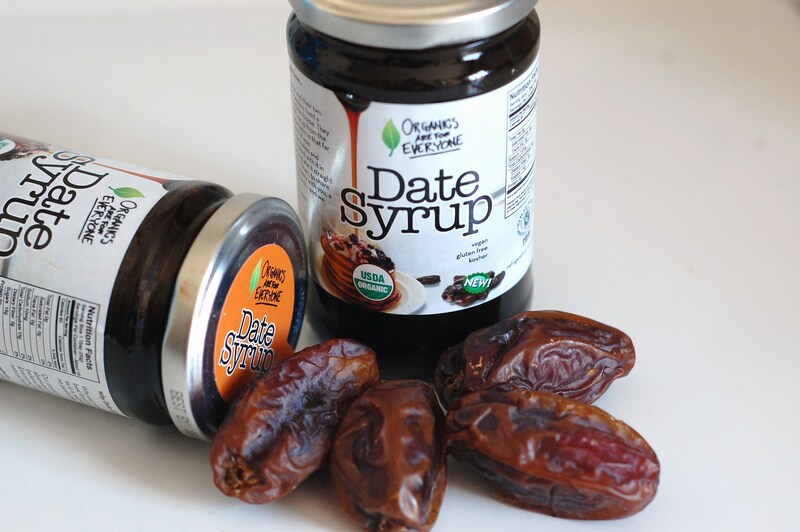 Instead enjoy some delightful date syrup in a protein shake, smoothie, or on its own, and enjoy every sweet bit as it absorbs into your system like sweet nourishment. 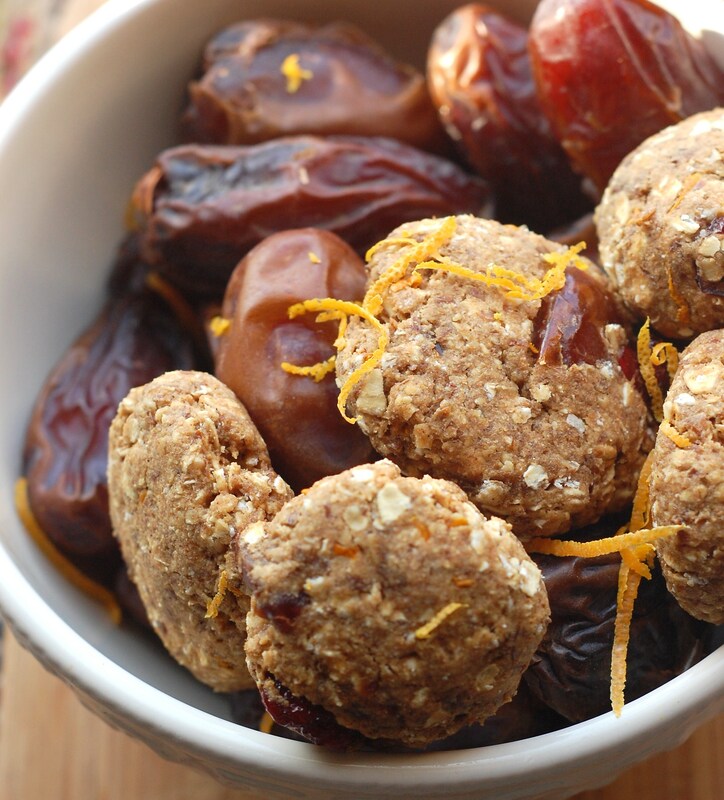 Dates are also a great source of iron and magnesium as well as an excellent source of energy without adding a speck of anything to them. 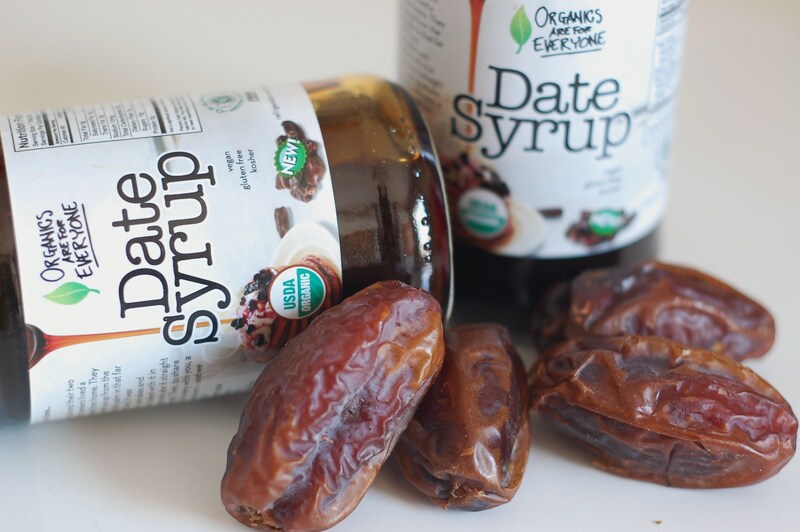 Use date syrup instead of high-sugar sports bars and drinks to replenish and recharge fatigued muscles. And then, of course, there’s all the baking you can do with it! Its’ unique flavor lends itself well to cookies and bars, and naturally, I have been putting this theory to use! When I made these date bars, I replaced the maple syrup the recipe called for with date syrup. It’s only fitting, right?! The substitute was a winner – while I haven’t yet tried them with maple syrup, this extra-datey version was a winner with everyone in my household – a rare occurence! 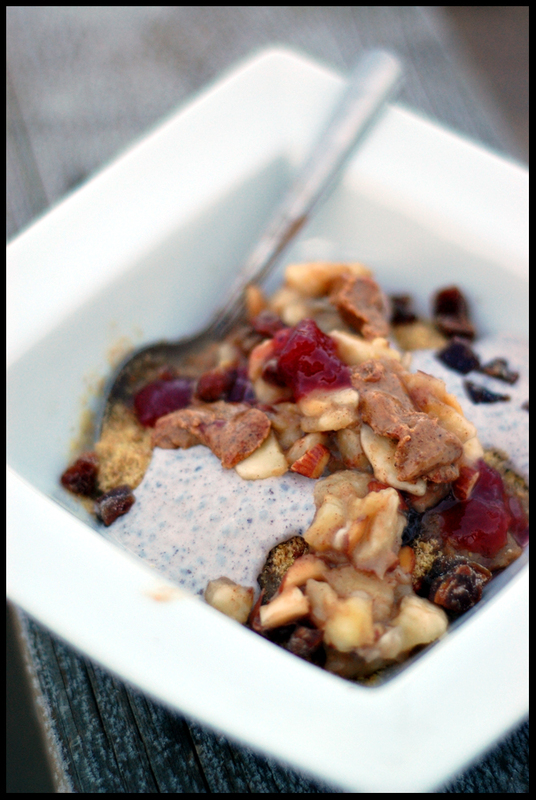 But my personal favorite recipe I’ve made with date syrup? 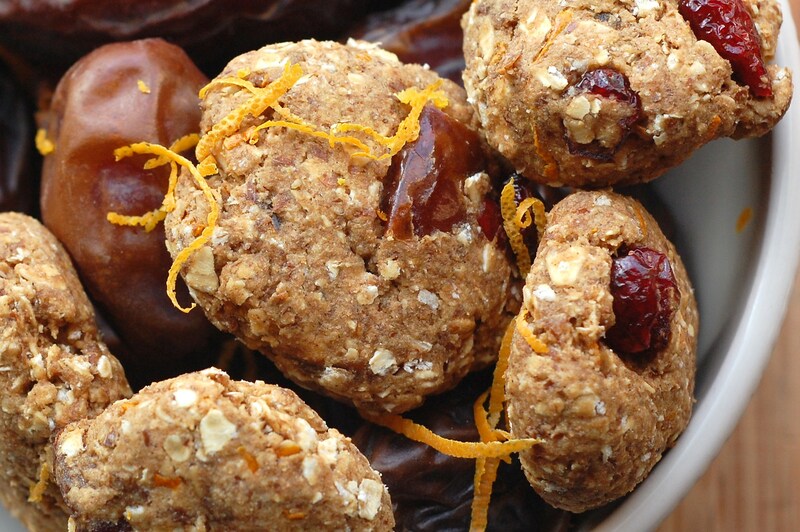 I suppose it could be considered a cross between SuperCharge Me cookies as well as the previously mentioned date bars: Orange-Date Cookies! If you want to use half the dough to eat raw and the other half as a luxurious body scrub because it smells so wonderful, I won’t tell anyone. It can be our secret. 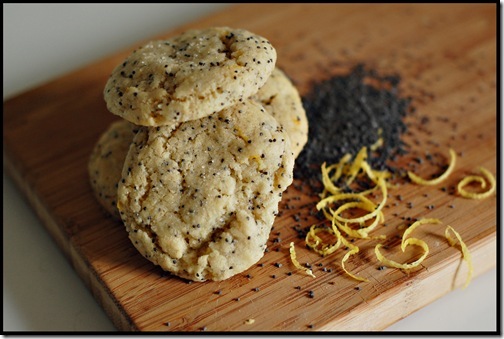 When I tasted one of these cookies hot out of the oven, I wasn’t sold on my final product. I thought they just needed a bit more zazz – maybe a touch mroe date syrup, a touch more orange juice. But after letting them sit a couple hours, or even better, a day or two? I am in love. 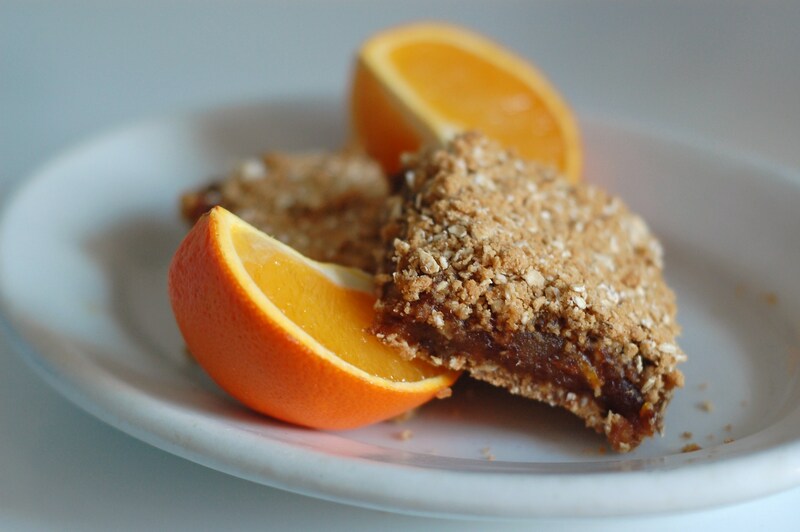 They are very subtly sweet – but the orange really shines through and plays well with the texture of the soft, chewy dates baked into their insides. 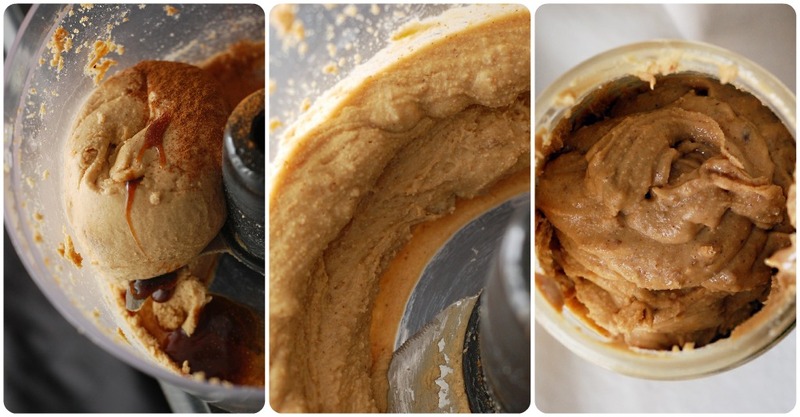 The cashew butter is a wonderul compliment, too – it does not compete with the flavors, but rather, nicely complements them. In fact, my favorite way to enjoy these cookies? 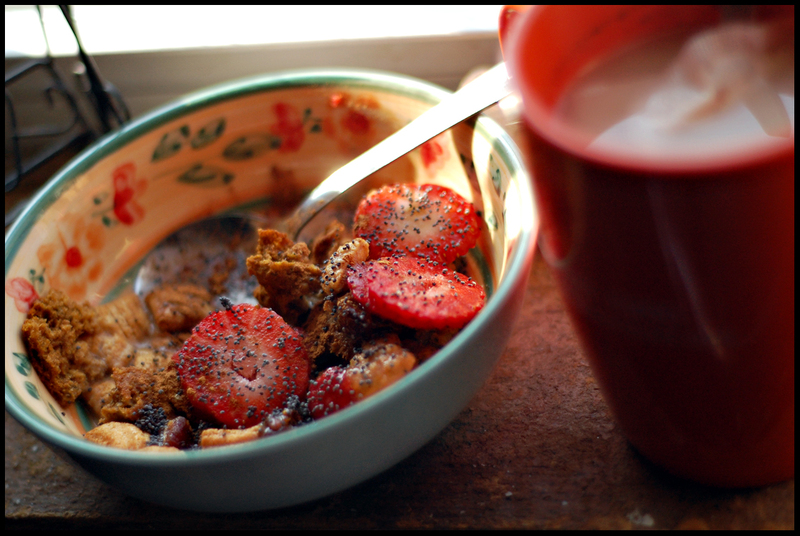 Smothered with a bit more cashew butter and had alongside a hot cup of coffee, tea or hot cocoa. 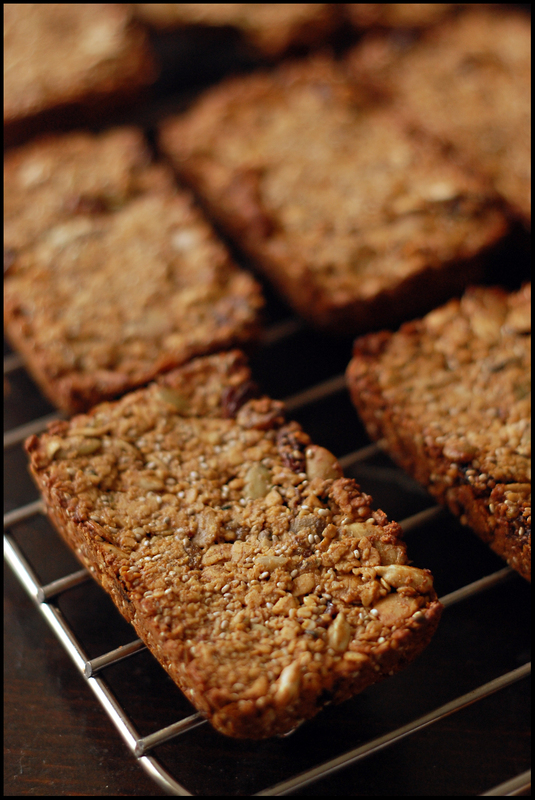 In a medium sized bowl, combine the flour, oats, spices and baking powder. Stir in the orange zest, dates and cranberries, making sure the dates are separated. 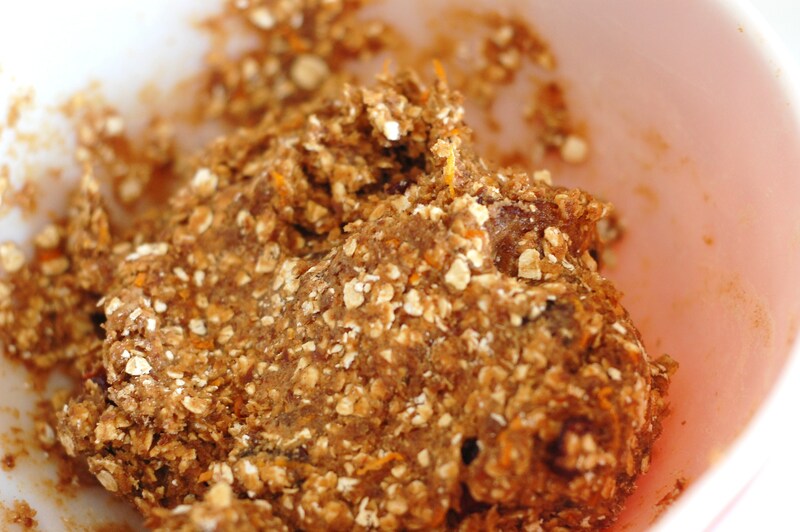 In a separate, smaller bowl, combine the milled flaxseed, juice of the orange, cashew butter and date syrup. Pour the wet into the dry and then add the coconut oil. You may need to add 2-3 T. almond milk, depending on how much juice your orange gave you. I think I had to add a tablespoon or two? You’ll want a stiff dough, but not crumbly. Roll into balls and flatten slightly before placing on a sprayed cookie sheet. Bake for ten minutes, cool for one minute on sheet, and then remove to cooling racks. 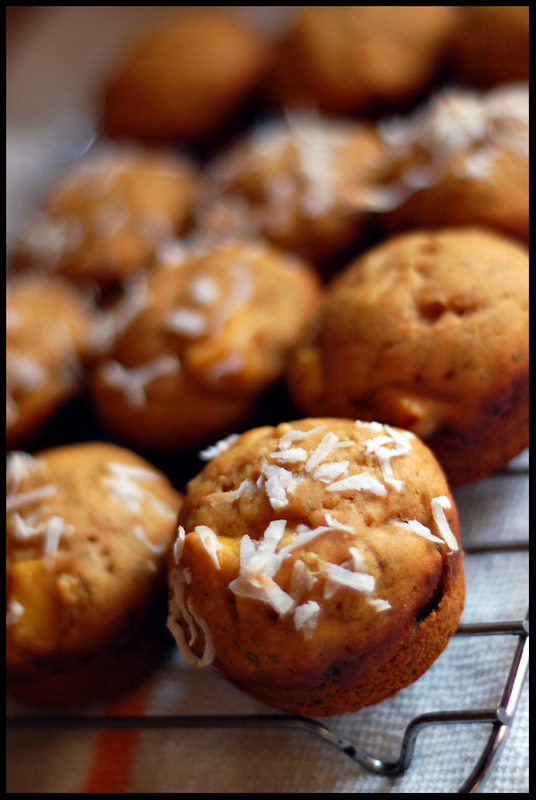 As I mentioned – I enjoyed these even more the next day, and especially smeared with more cashew butter!! 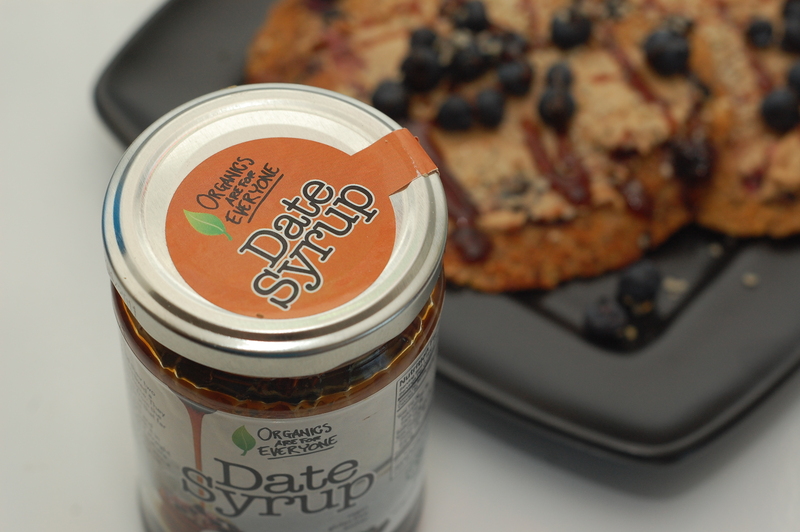 Do you want to win some date syrup? Of course you do. And you can!! Colleen graciously has offered me the opportunity to host an Organics are for Everyone giveaway. 1. Follow OAFE on Twitter (@datesyruprocks) and tweet about the giveaway in some way, shape or form, linking back to this post. 2. Comment on this post with something relating to date syrup – how you would use it, if you have tried it, a joke involving date syrup, a fact, something to crack me up, you get the point. 3. 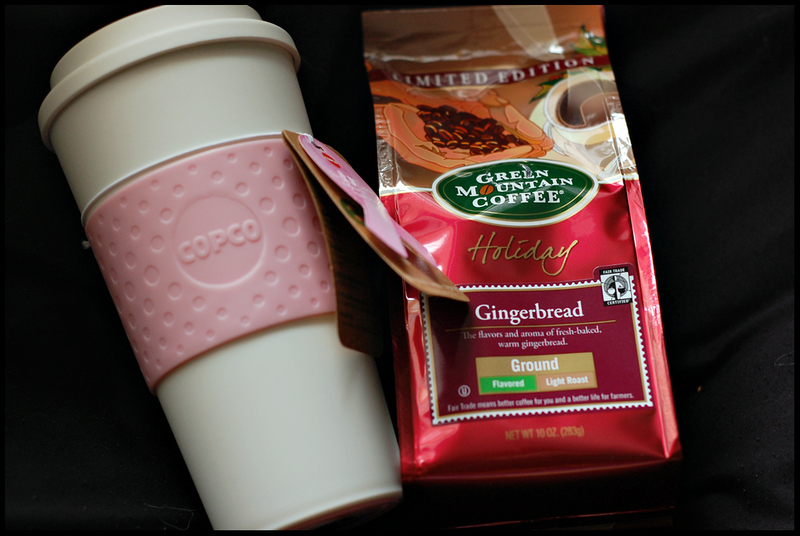 Link back to this giveaway in your next blog post. Make sure you post a separate comment for each entry! 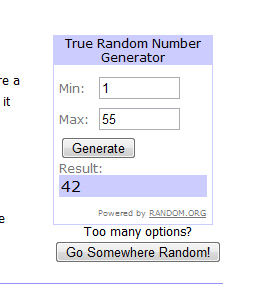 The winner, whom I will randomly choose next weekend using a random number generator, will recieve two (!!) jars of date syrup! Unfortunately, this giveaway is for people in the contiguous 48 states only. Sorry! Alright, babes. (edit: and boys!!) I am here to seriously knock your socks off this morning. 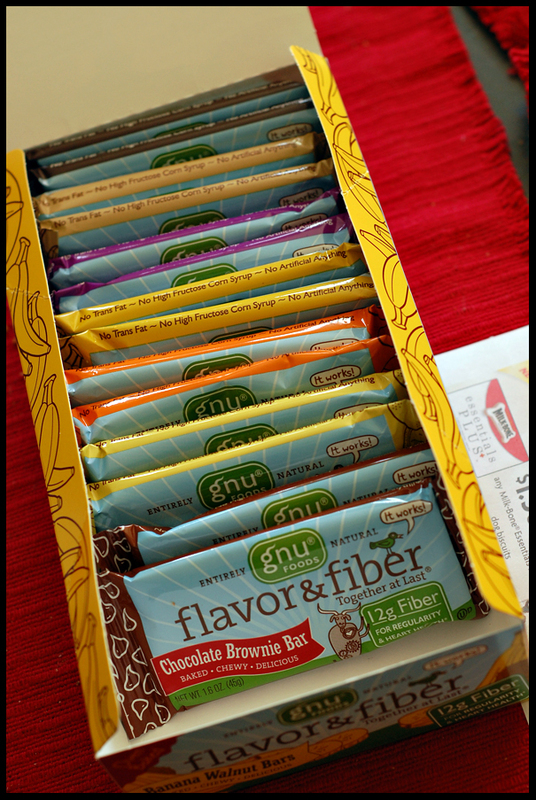 Remember when I mentioned how the amazing folks over at Gnu Foods seriously hooked me up with some bars? Uh, yeah, wasn’t kidding. They sent me two of every flavor – and, I bet you know where I’m going with this. You all know that I’m seriously in love with these bars. 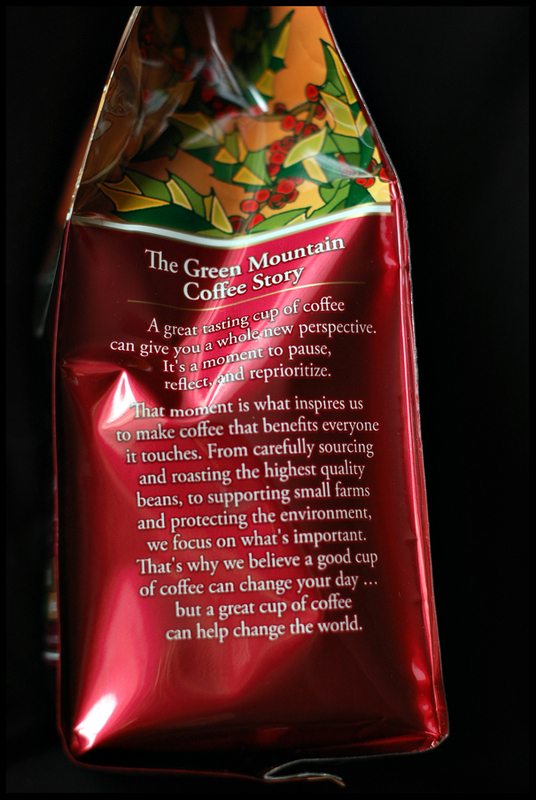 They’re packed full of good stuff, have a bomb ingredients list, have the.best flavor, aroma, and texture ever – and are so good for you! 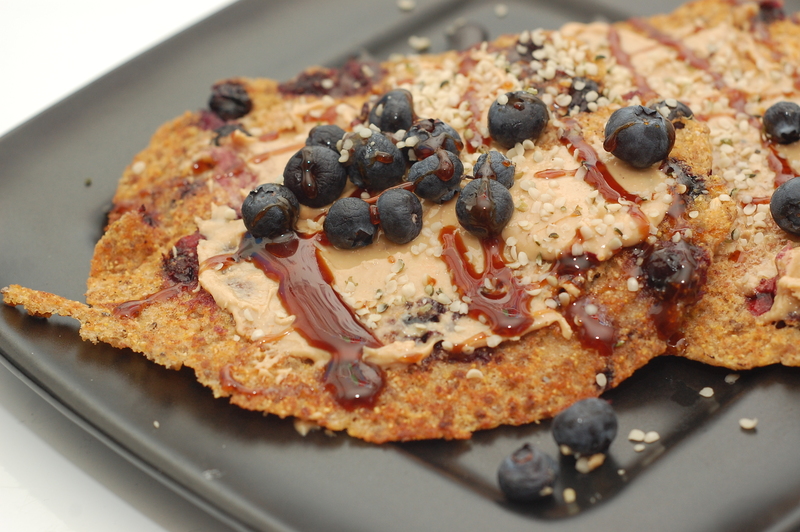 Aw yea – that’s wheat protein in there, not soy. Thank you, Gnu Foods. I wasn’t kidding when I said they know what’s up. I give a brief review of the Cranberry Orange Bar here, and a little more lengthy one of the Banana Walnut (my fav so far!) here. And now – how do you enter? 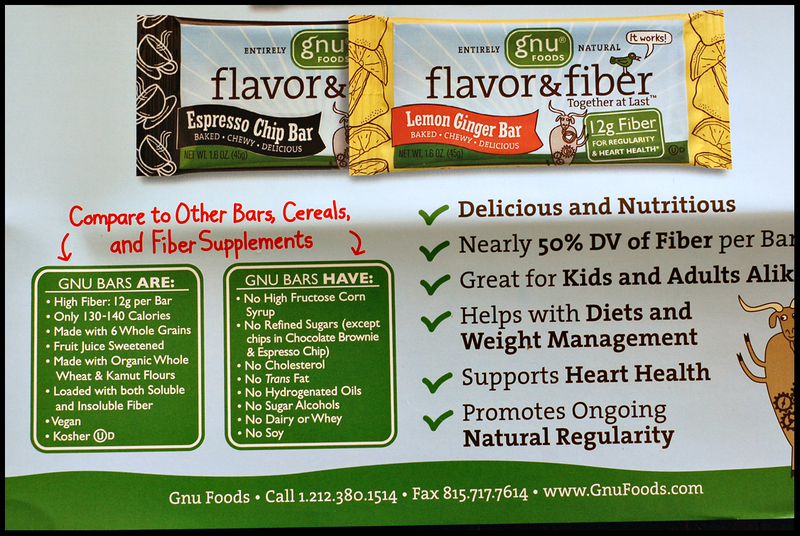 and/or, if you don’t have a facebook – head on over to the Gnu Foods Website and tell me what you find most exciting/interesting about these bars. A fact, a flavor – anything! 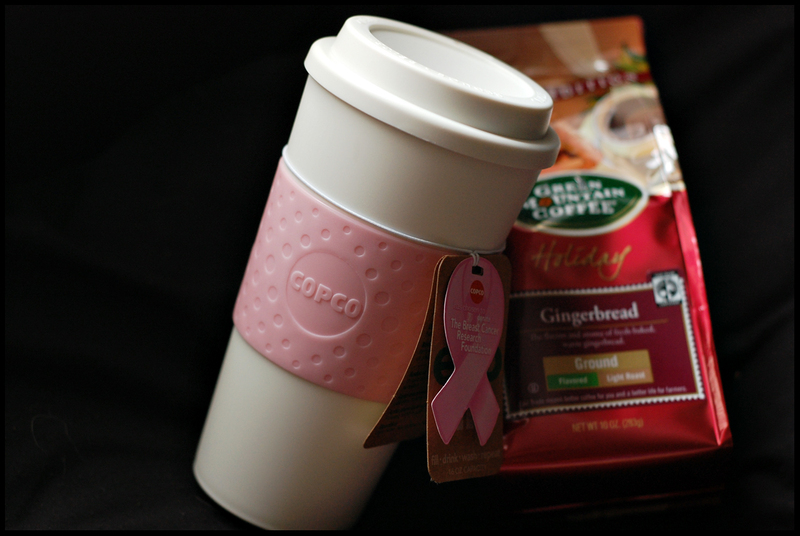 Mention this giveaway on your blog and leave a separate comment saying so with the link to the post. Add me to your blogroll, and again – leave a separate comment telling me you’ve done so. I can’t think of anything else so hopefully that’s enough. bahah. I will be choosing a winner on Saturday, April 17th. Please – U.S. residents only (unless I figure out a less expensive way to ship out of country? I’ll keep yas updated!) and also – please make sure for each entry, you leave a separate comment! 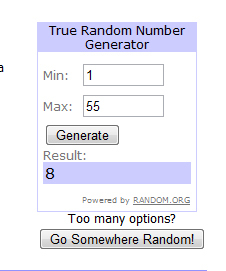 I will be using a random number generator to pick the winning comment number. Is it really Sunday night already? I am so not ready for this wonderful weekend to be over! At least it ended well, however. 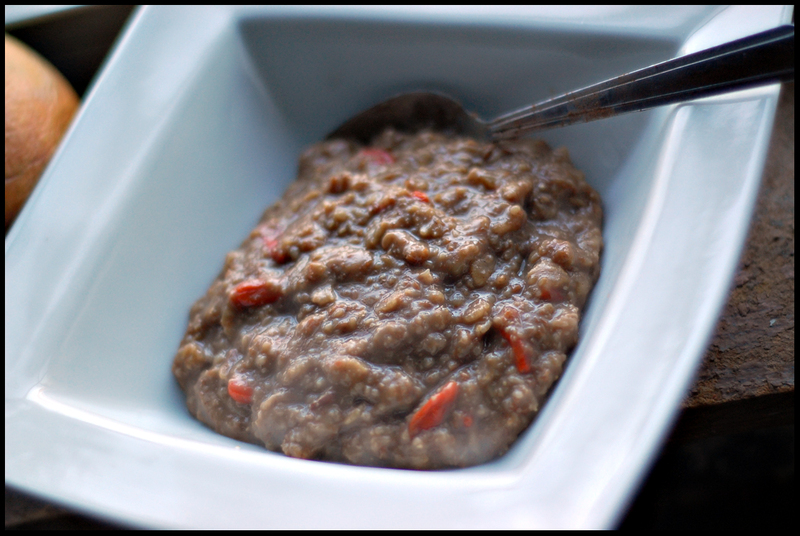 Started out with a plain-jane bowl of banana oats. Yep. Just some oat bran, rolled barley flakes, wheat bran, brewed coffee, almondmilk, goji berries, cinnamon, and half a sliced banana. You didn’t really think I’d leave it at that, did you?! 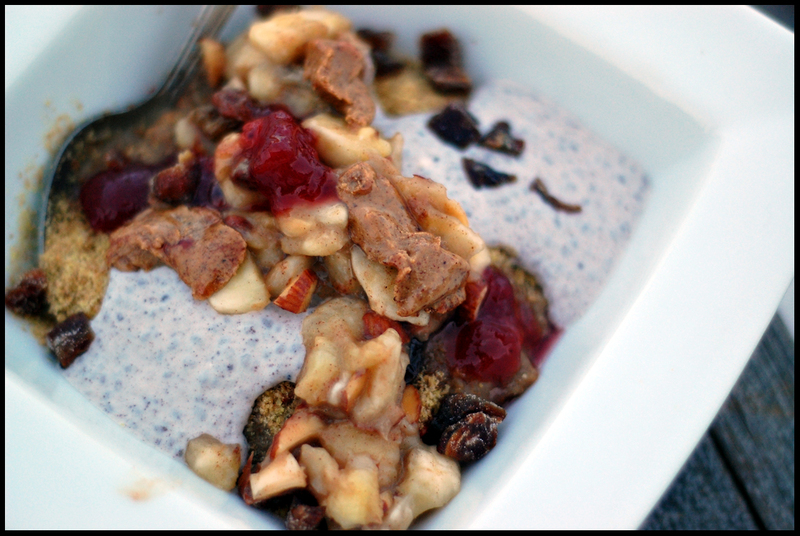 It may have been a simple bowl of banana oats, but even banana oats like to get dressed up. Since I haven’t been using bananas so much in my oats in the morning, add to that the fact that both my mom bought a bunch and I bought a bunch at the same time, I have a few that are getting really really ripe. Perfect! After breakfast my mom and I went on a super-organizing mission of our cabinets. We don’t really share much food – so it’s gotten a little out of control lately. There’s room, we’ve just been to lazy to organize stuff! So we cleared out cabinets that were just holding stuff we haven’t used in eons, and now there’s plenty of room for everything. We still have an overflow of fruit, but I don’t consider that a problem 😉 We’re good about not wasting food – especially fruit – it’s just comical that it takes up half of the butcher block. We ran to get a couple groceries I still needed for the night’s dinner, and when I got back I got to the bakin’! But not after some snackage. The life of a puffins addict. Organizing and grocery shopping works up an appetite. For a while I wasn’t sure about dessert – I’m not a huge cake fan, but know it’s kind of traditional. I mean; a birthday dinner without cake? C’mon now. I do love carrot cake, as well as ginger-type or spice cakes, but I’m pretty sure that’s what work is doing for me, so I didn’t necessarily want to make one for home, too. I tinkered with the idea of a honey-spice cake – never had one, but certainly sounded right up my alley! But then I stumbled upon The Witchy Kitchen’s recipe for a mango-coconut cake. Um, hello, do you know who you’re talking to here? It couldn’t get more perfect! I also looked up a few more recipes for a honey cake afterwards, still trying to decide, but while doing that, I happened upon the mango-coconut cake quite a few more times! I figured this had to be a message 🙂 I ended up tweaking teh recipe to fit both my desires! Because, well, I’m that kinda gal. I also decided to make them cupcakes because I really wanted to make them into parfaits! I had too much fun, obvs. Of course I had to make one up for taste-testing, though! I had to make sure my alterations worked 🙂 Luckily, my sister walked in the door shortly beforehand, and came bearing gifts: some beautifully ripe strawberries! They fit right in, and most importantly, I had a test subject. Of course, I made her wait as I photographed it even though she hadn’t even said hi to my mom yet – but she said it was worth it. Phew! I of course tested it before allowing her to, and I asked her to take it my mom mom for a try, too. I’m pretty sure it got delivered safely, but you never know. This was far superior to any dessert I have had recently. 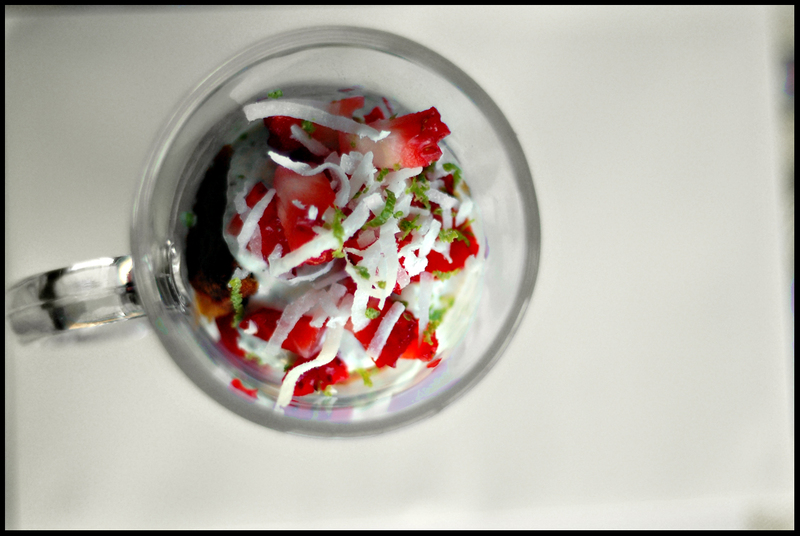 Well, baked dessert – I mean, I do love my puffins desserts, of course. All thanks to The Witchy Kitchen! I’ll definitely be doing up a post for my version, though. 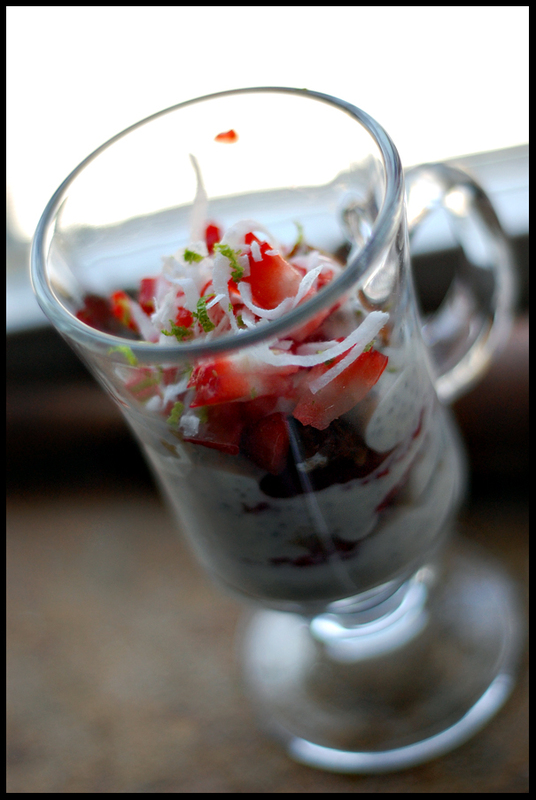 I made some fun subs, and the greek yogurt-chia pudding in between was delish. This received rave reviews! Of course, we didn’t eat them until after dinner, and at this point, I hadn’t even had lunch yet! Simple egg salad! This photo was snagged super quick – which explains the lack of…well, additional food. We’re having work done on our property, and my mom invited the man in for lunch. I would have felt strange photographing my food in front of him, so while he was washing up in the other room I fired off two shots of this as soon as it was off the grill, haha. We had chips and stuff on the table, and my sister brought some Stacy’s pita chips and Sabra hummus with her, so I had my fair share of those, as well as a kiwi and half an orange. Only because the orange was sub-par. So glad to see my sister – and it’s funny how she’s picked up some really great eating habits recently! She’s becoming more and more like me – I find this too funny because she used to be the complete opposite. The afternoon consisted of baking pizza crust, and editing photos. I was deifnitely sweatin’ a bit with this crust! I chose to use this Bob’s recipe for a spelt pizza crust, and decided to halve it and make individual calzones. I realize pizza is relatively simplistic when I could chose to have anything I wanted – but truth be told, I really just wanted some homemade pizza, and wanted to try making it myself! I think it’s because it’s been the week for pizzas, or something – I’ve seen them on so many of your blogs! Definitely solidified my decision. My mom and I put them together, which ended up being quite fun. In my head, I worked it out so that each calzone would be the equivalent of two pizza slices, which would end up more than enough for each of us. Hey – leftovers! But next time I think I’d just make the whole recipe and have, say, five ‘zones. Not sure if it was the nature of the flours or driver error, but it didn’t rise a ton so the dough rolled out to be pretty thin. 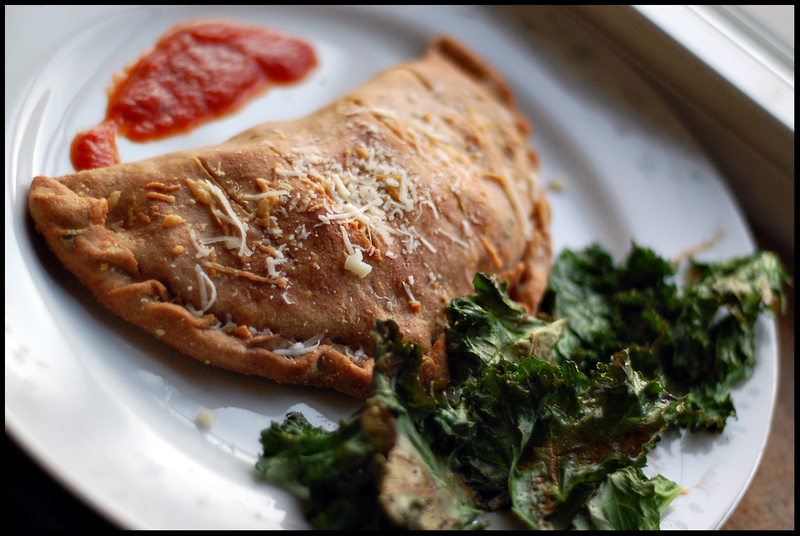 It didn’t turn out bad by any means – but I love Spelt so I would have loved a thicker crust! I made mine with plum tomato slices, fresh basil, fresh garlic, almond mozzarella, and a bit of the ricotta-mozzarella mixture that I made up for everyone else’s. 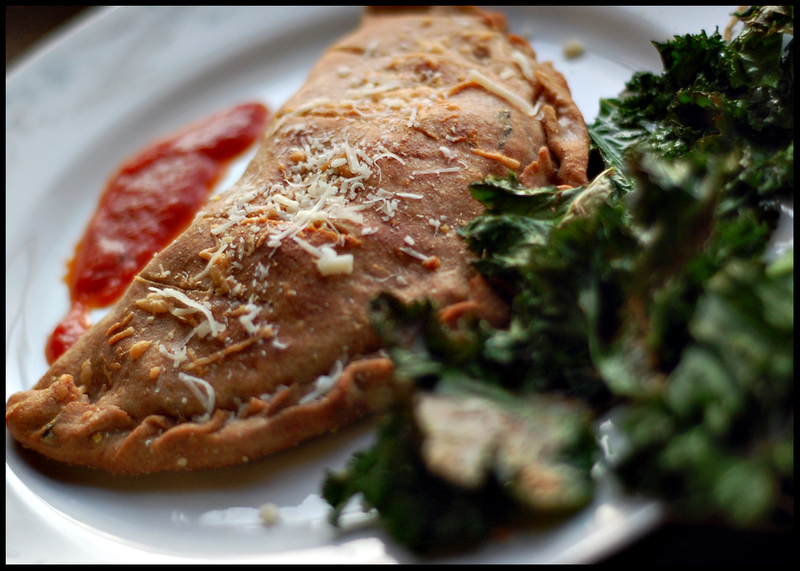 I didn’t even think of ricotta being in calzones until my sister said something about it. She used to work in a pizza kitchen…and I’m glad she reminded me of this fact because it definitely made it a real calzone, hah. She also reminded me that the outsides should be brushed with garlic butter. She’s a thinker, that one. My way of giving her proper thanks was to make her the best ‘zone of the night. Buffalo-turkey! I offered her the last of the buffalo turkey meatballs I’d made and frozen a while back, and whipped up a ranch-hot sauce dressing to put in it and for dipping. I also loaded it up on the ricotta-mozz mixture, as well as some plum tomatoes. I stole a bite and it was divine! Not complaining about mine by any means – but I shoulda snagged a photo of hers, too. A little overboard on el chez = oozy cheesiness, heh. And the funniest thing? The kale was a hot number! I made it because I knew I wouldn’t feel like making up a big salad, and know how much my mom loves them. She was all over the idea. I also thought it’d be fun to introduce it to my sister. She was so weary about trying one. Like, serious gross-out face…she only knew kale to be a garnish. Well, let me tell you – her opinions changed faster than you can say kale! She doesn’t like to admit when she’s wrong, so when I asked her if she wanted seconds, she was kinda trying to hide a grin, sheepishly saying “yes,” but without saying the “YES!! !” she wanted to, haha. Mission accomplished! Kale chips will take over the world. eh? We chatted over coffee for a bit before dessert, and everyone loved it. So happy 🙂 Probably the first baked good I’ve made that my mom actually loves. 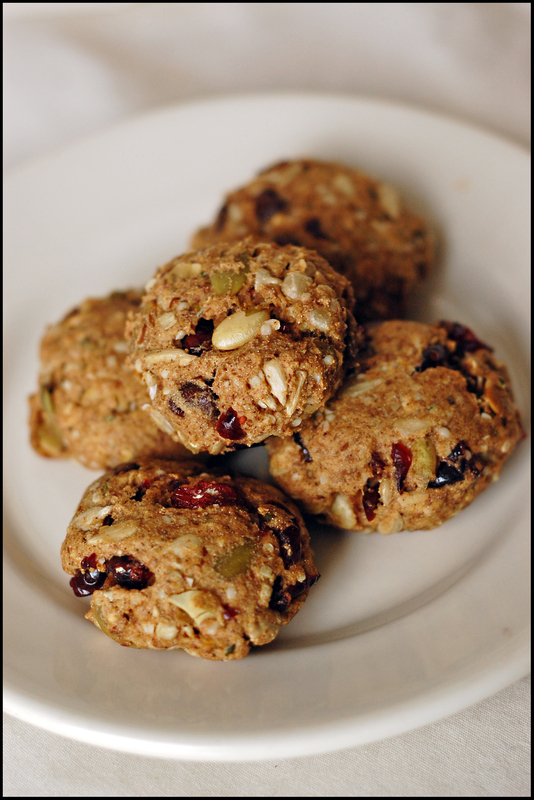 Granted – usually I make whole wheat, bran muffins, bars, stuff like that – with the intention of eating them not necessarily for a sweet tooth fix, but for a good snack. These are both. And the moment you’ve all been waiting for…Who’s the big winner?!?! Emily of Nutritious is Delicious! Congrats, Emily! 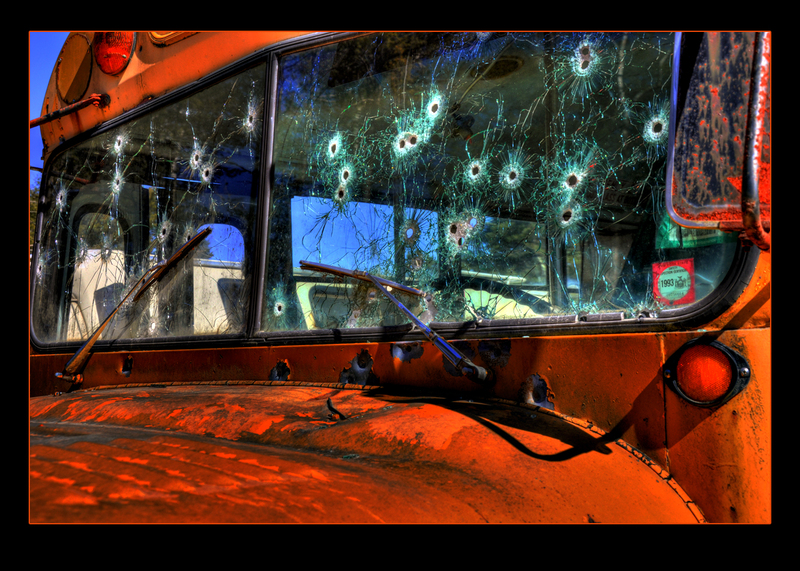 Glad you entered – led me to your great blog! E-mail me your top two Woodstock Cookie selections in addition to one or two other ones you wouldn’t mind receiving, and I’ll ship everything out to you ASAP! BUT! That’s not the end! I decided this was too fun to only have one lucky winner. Why not two?! So, one more winner is going to receive two woodstock cookies in their choice of flavor. Lucky winner number two? And who happened to be number 8? The lovely Pam at A Love for New Recipes! 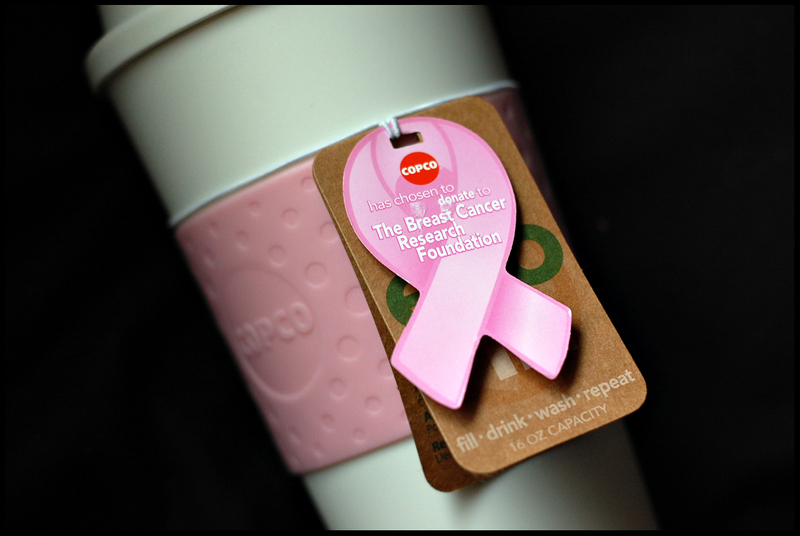 Another great blog found recently – I think maybe even because of this giveaway?! Regardless – send me your two choices as well, and I’ll get those out to you ASAP. I can’t 100% guarantee you will get your top two flavors, however I should manage it. This giveaway was so much fun – I found so many cool blogs, and only hope my next one will be even bigger so I can discover even more! Stay tuned for the next one – I’d like to have one more based on the foods you see me blogging about constantly, that sort of thing. Although – the great thing about this one was that I rediscovered some of my own favorites! But that’s all from me – I hope everyone had an amazing weekend, and has a great night. What was the highlight of it for you?! Alright folks, here it is! The long-promised giveaway! Didja think I’d never follow through?! Not so! While thinking of what to include, I bounced back and forth between doing a fun VermontPride giveaway, or one that included some of the products I so often rave about that some people may not be able to find due to where I shop. (Are Hannafords and Price Choppers places other than New England?) 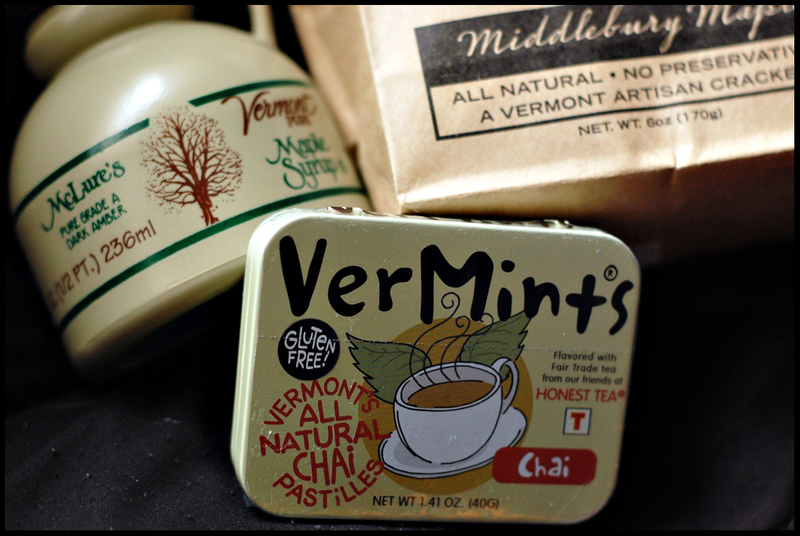 This sort of made me realize I eat relatively local anyways – so I’d start out with a Vermont-themed giveaway and maybe in another couple weeks, I’ll do one with some of the crazy jams, mustards, and other fun stuff I find. 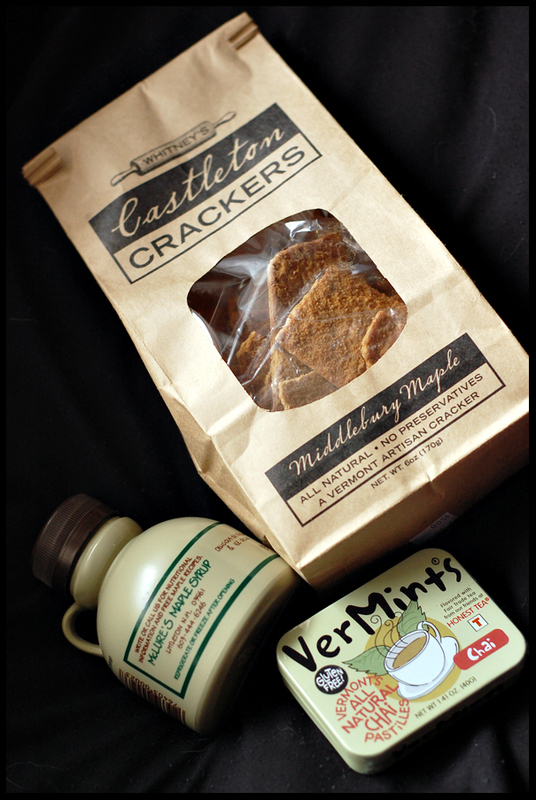 A sample of McLure’s Maple Syrup, some of the best mints ever created, and equally delicious crackas! No aspartame or splenda here, kidlets 🙂 They’re addicting though – you have been forewarned. As is maple sizzurp. REAL maple sizzurp! Contrary to what some may believe – Aunt Jemima is quiiiiite far from what you will be receiving. 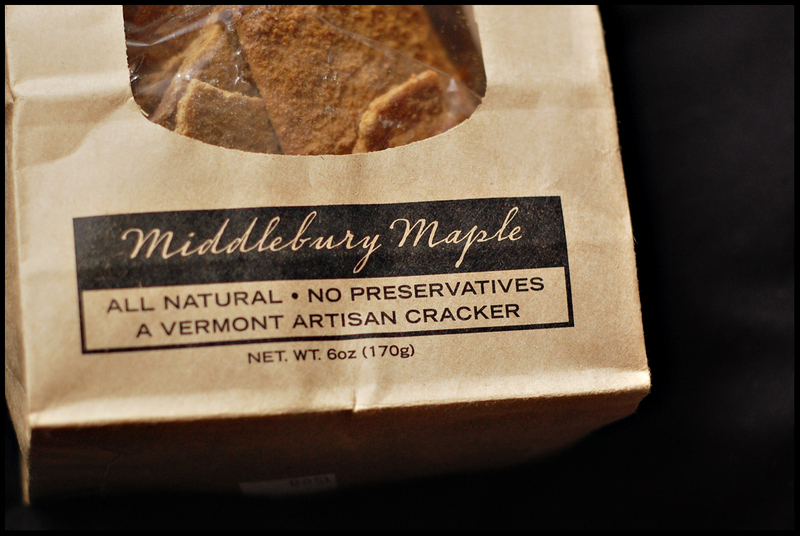 These crackers are locally made, and deee-ricious. I’m kind of glad I’m doing this giveaway because I’d forgotten about them myself for a little while! I promise I want eat your bag, though. In Addition to what I’ve pictured, I’m also going to throw in two Woodstock Cookie Company Granola Bars. 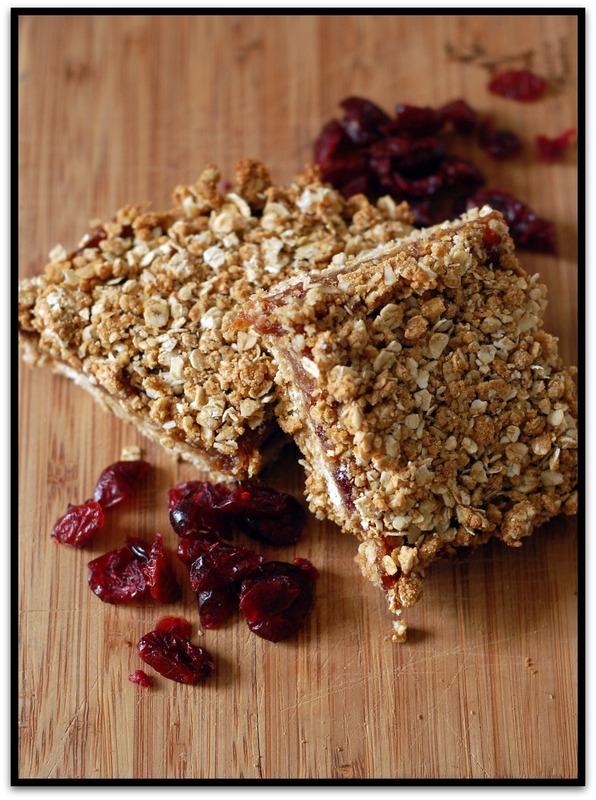 While these aren’t necessarily the granola bars packed full of protein that you grab to replace your lunch, they are all natural and handmade, as well. 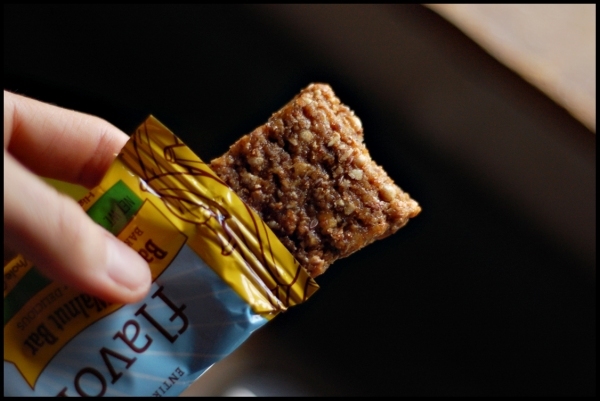 Hey – real food is better than fake processed stuff, and these are ridiculously good as well. Of course, I wouldn’t giveaway stuff I thought was gross. I didn’t pick these up ahead of time because I figured I’d let you chose your flavors, and I wanted to get them fresh off the truck, too. While I can’t promise I can get my hands on all of the flavors on their website, if you give me a couple choices I should be able to get whatcha’ want. So! That’s that. Now you’re wondering how to enter, right?! 1. The usual – sorry, shameless plug – mention this giveaway with a link on your blog, and post a comment with a link to your post that mentions it. 2. Go to any of the above mentioned product/company’s websites and post a comment saying which product or flavor you would most be interested in trying. I will use a random number generator on Sunday, March 7th – one week from today to determine the winner. And, unfortunately – Continental U.S. residents only, please 😦 Sorry! Hopefully I’ll be able to change that in the future. SO! What are you waiting for? GO!